HONEY AND HEMLOCK: The Story Behind "It's A Wonderful Life"
It's a Wonderful Life is a 1946 American Christmas drama film produced and directed by Frank Capra, that was heavily adapted from the short story "The Greatest Gift", written by Philip Van Doren Stern in 1939, and privately published by the author in 1945. The film is considered one of the most loved films in American cinema, and has become traditional viewing during the Christmas season, comparably to film adaptations of Charles Dickens' A Christmas Carol. The film stars James Stewart as George Bailey, a man who has given up his dreams in order to help others, and whose imminent suicide on Christmas Eve brings about the intervention of his guardian angel, Clarence Odbody (Henry Travers). Clarence shows George all the lives he has touched and how different life in his community would be had he never been born. The film was nominated for five Oscars and has been recognized by the American Film Institute as one of the 100 best American films ever made, placing number 11 on its initial 1998 greatest movie list, and would also place number one on its list of the most inspirational American films of all time. The original story The Greatest Gift was written by Philip Van Doren Stern in November 1939 after being inspired by a dream. After being unsuccessful in getting the story published, he decided to make it into a Christmas card, and mailed 200 copies to family and friends in December 1943. The story came to the attention of RKO producer David Hempstead, who showed it to Cary Grant's Hollywood agent, and in April 1944, RKO Pictures bought the rights to the story for $10,000, hoping to turn the story into a vehicle for Grant. RKO created three unsatisfactory scripts before shelving the planned movie, and Grant went on to make another Christmas movie staple, The Bishop's Wife. At the suggestion of RKO studio chief Charles Koerner, Frank Capra read The Greatest Gift and immediately saw its potential. RKO, anxious to unload the project, in 1945 sold the rights to Capra's production company, Liberty Films, which had a nine-film distribution agreement with RKO, for $10,000, and threw in the three scripts for free. Capra, along with writers Frances Goodrich and Albert Hackett, with Jo Swerling, Michael Wilson, and Dorothy Parker brought in to "polish" the script, turned the story and what was worth using from the three scripts into a screenplay that Capra would rename It's a Wonderful Life. Seneca Falls, New York claims that when Frank Capra visited their town in 1945, he was inspired to model Bedford Falls after it. The town has an annual "It's a Wonderful Life festival" in December. In mid-2009, The Hotel Clarence opened in Seneca Falls, named for George Bailey's guardian angel. On December 10, 2010, the "It's a Wonderful Life" Museum opened in Seneca Falls, with Karolyn Grimes, who played Zuzu in the movie, cutting the ribbon. 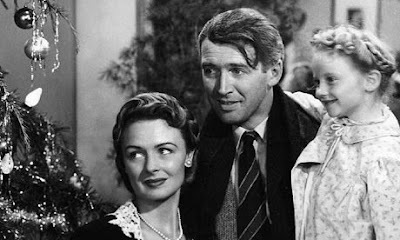 More about It's A Wonderful Life can be read here. To read The Greatest Gift, see here.